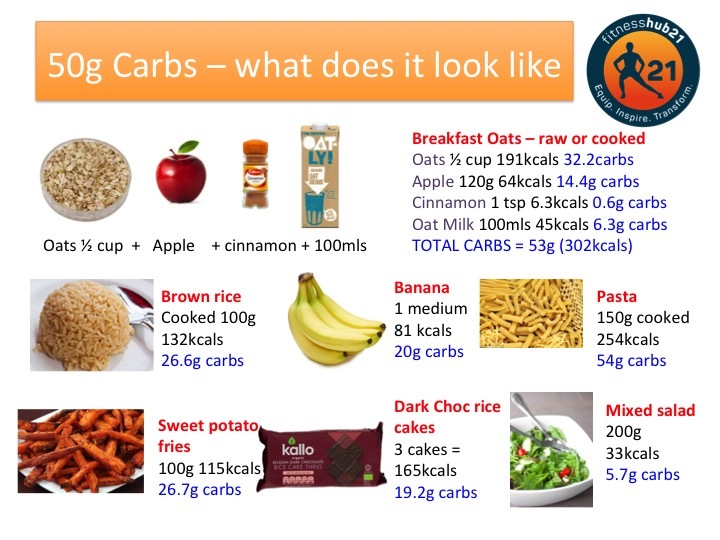 Whether your low carb or high carb we all need to have an understanding of what carbs look like in our diet. 1-3g/kg/day intake your carbs could go from 50-200g a day. How much you eat is down to your goal, body weight, protein intake, your preference for carbs or more fats and your environment. I have seen many members lose weight eating low carb, low fat, high fat, a zone diet etc – it was down to being in a calorie deficit, eating enough protein and fat, being smart with their carb choices and being consistent with their nutrition and training.